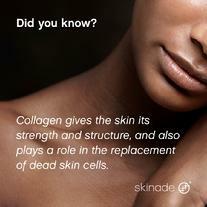 Skinade is a professional product that works from the inside out. 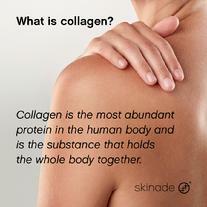 Its formulation is packed with the highest-quality low-molecular weight collagen from marine sources and essential ‘beauty-ceuticals’. 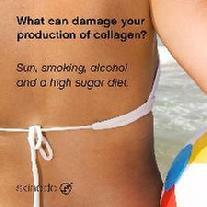 Every aspect of the product has been designed to support normal skin function. 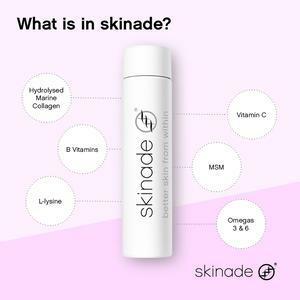 Manufactured in the UK, Skinade spent over two years working with a leading double PhD Nutritional Pharmacologist developing and perfecting a patent-pending formulation of active ingredients that work synergistically to produce a highly effective and result-driven product aimed specifically at the skin. 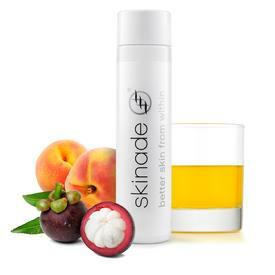 As a drink, Skinade has a 90-95% absorption rate ensuring that the body makes the most of the active ingredients. 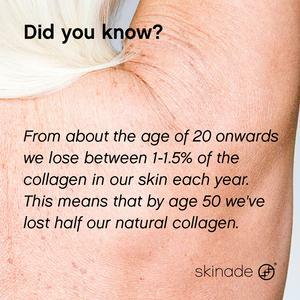 Registering month on month improvements in measured parameters, the research showed a strong correlation, key to the results seen.